On January 15, 2019, victims of the 2010-2011 post-election violence in Côte d’Ivoire were shocked again. In a majority decision, the Chamber decided that the prosecution failed to provide sufficient evidence upon which a Trial Chamber could convict the accused. 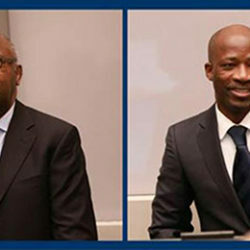 The Court further decided that the prosecution failed to reveal key elements that would establish a “common plan,” including the targeting the civilian population in pursuit of state policy aimed at ensuring Gbagbo remained in power.